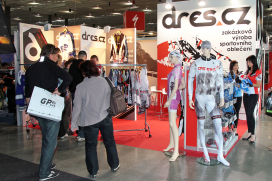 BRNO, Czech Republic – Following last week’s news of Messe Munich pulling the plug on ISPO Bike; also the Bike Brno 2013 edition, scheduled for 7 – 10 November, has been cancelled. “The current market situation seriously affected our exhibitors marketing budgets and their possibilities to be present at Bike Brno,” explains Jiří Kuliš, CEO of Bike Brno organizer BVV Trade Fairs Brno. For many years Bike Brno was regarded as an important trade show and the gateway for Eastern European production companies to the attractive markets in Western Europe. “We regret that we can’t offer the Czech cycling fans a comprehensive exhibition showing the best brands and innovations in this sector despite numerous negotiations with key bicycle companies,” commented co-organizer and founder of the event Karel Stárek on the news of the cancellation of the 2013 edition. However, cycling as a theme will not disappear from the Brno Exhibition Centre. Supporting events such as the Bike Trial Championship of the Czech Republic, BMX&MTB Freestyle Show or Bike Conference will be part of the SPORT Life fair. This event is scheduled for November 7 – 10.